From rappers to the pope, everyone loves gold chains. Keep up with the latest fashion trends and improve your shifting at the same time with the Connex 10sG. A high-grade brass coating offers reliable protection against corrosion, while the golden look provides your bike with the perfect style factor. The 2016 10sG is optimized for buttery-smooth shifting on Shimano, Sram, and Campy shifting systems, thanks to its new plate design. 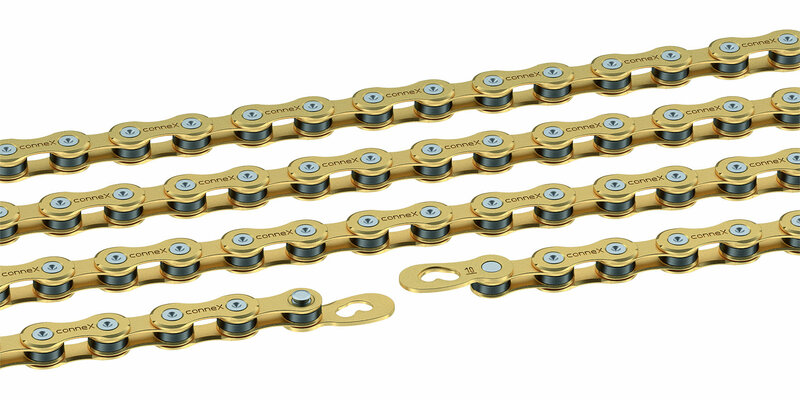 Plus, you get the tool-free, reusable Connex Link, so maintaining that golden shine is a breeze. 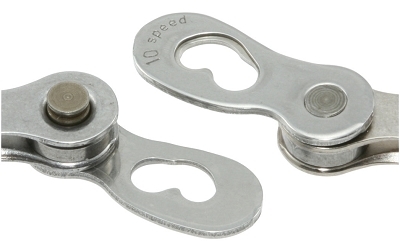 The 10sG is perfect for road, mountain, or Cyclocross applications.